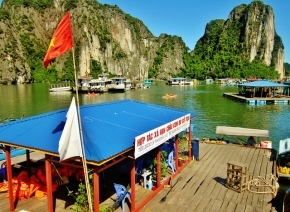 Discover culturally rich Hanoi & beautiful Halong Bay in VIETNAM for 3D2N or 4D3N! ARANYA HOTEL is conveniently located in the very heart of the charming historic Hanoi Old Quarter, in a beautiful old street, which offers you a perfect retreat from the vibrant and buzzing Old Quarter. Conveniently located in the very heart of the charming historic Hanoi Old Quarter, our hotel is situated in a beautiful old street, which offers you a perfect retreat from the vibrant and buzzing Old Quarter. From here it is only few blocks to Hoan Kiem Lake, shopping area in the 36 ancient streets and just walking distance to Ho Chi Minh Complex, Temple of Literature, Hanoi Opera House, other attractions and restaurants offered in Hanoi. Noi Bai Airport is only 35 kilometers from our hotel, with an approximate driving time of 45 minutes. Built in 2010 and based on an exotic oriental junk, Ha Long Dragon Cruise, the model of the old Vietnamese court vessels with sails, a wide transom and rectangular super structure, luxurious, traditional styling paired with sophisticated modern facilities and comforts. The junk boasts romantic wooden fixtures, a multitude of windows to make the most of the amazing views and a spectacular upper deck for your total relaxation. 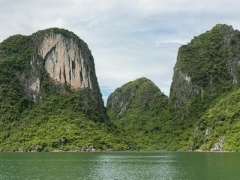 From the moment you step on board the Ha Long Dragon Cruise you will feel pampered.